I offer a free 15-minute phone consultation so we can decide together if it sounds like we would be a good fit. If after that consultation you would like to schedule a first session with me, that is always a paid session, no commitment required. I tell all of my clients that if for whatever reason they do not want to move forward with my services, they are free to terminate at any time, including after the very first session. I hold client office hours on Tuesdays, Wednesdays and Thursdays. I have limited Evening availability on Tuesday and Wednesday Evenings to serve my clients. Those book up quickly though, so it is often best to book ahead. I can usually get a client in for their first appointment within a week from when they have their phone consultation, depending on their availability. At times, I can even get same day appointments. YES! I offer what I call Flex Therapy, which is the best of both worlds. I always start with an in person session, so we can get a feel for each other, make sure it is a good fit and start to build rapport. Then I ask that my clients come into my office about once a month for a face to face session and then we can do the remainder of their sessions online, through a HIPAA compliant program in order to maintain their confidentiality. 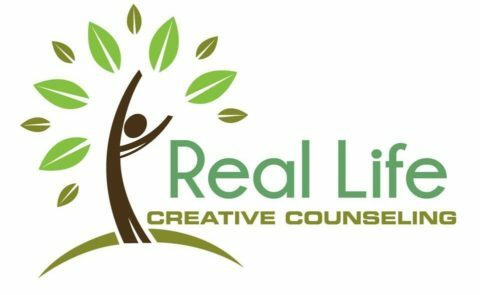 With this service, my clients can cut down on drive time and evening commitments when they work, without losing the importance of the therapist connection. I take Cash, Check, major credit/debit cards, and HSA cards. Please note there is a fee for returned checks or debit transactions. A 45-50 minute, standard in-office session is $125. A double length 90 minute session, best for families or couples, or intensive EMDR is $175. I do offer discounts for pre-purchased packages for those clients who are ready to commit to their treatment. Please ask, if you are interested. For Groups, my rate is $50 per session. At this time I am in-network for Cigna and am willing to help facilitate out of network billing for other insurance companies. It is important that you know that in order to have medical insurance pay for counseling, you must be given a medical mental health diagnosis. Many of my clients do not fit diagnostic criteria or choose to not have another diagnosis on their permanent medical record, especially with the current political climate in relation to medical insurance. If you do not want a mental health diagnosis on your record, you must choose to pay out of pocket. Secondly, it is unethical to diagnose someone with a disorder just to obtain payment. Unfortunately, many therapists feel forced to do this. I hold myself to a high ethical standard and will not give someone a diagnosis that they do not meet all criteria for, and will never diagnose someone on their record without their knowledge. Insurance generally does not pay for: general couples counseling, family therapy to work on family dynamics or patterns, general life dissatisfaction outside of depression, career counseling, therapy for parents trying to be better parents, etc, which are many of the reasons my clients choose to come to me. We can discuss this further if you have more questions about this. Will you submit a claim to my insurance on my behalf? For clients who would like to use out-of-network insurance benefits, they pay me directly, my full rate. If someone meets all diagnostic criteria (see above), I am happy to provide them with a superbill itemizing their sessions, amount paid, and diagnosis for them to submit to their insurance for reimbursement of an out-0f-network provider. Please note, that each insurance company is different, and most only reimburse a portion of your payment. Sessions not cancelled with at least 24 hours notice will be charged the full session fee. A rare exception may be allowed in the case of a documentable emergency. It is important for us to meet together consistently for you to meet your goals and I reserve that time slot for you. In some instances, we may be able to meet via phone or secure video service as an option due to inclement weather or sickness. This is a hard one, as it is different for each of my clients. In general, my clients who see their treatment through, are ready to terminate with me between 7-15 sessions. Some may need longer. It depends on many factors including the issues presented, the commitment to therapy both during sessions and between them and often the length of time the client has been struggling with the issue. My clients start off weekly, move to every other week once we agree together that is a beneficial step, and then terminate when ready. I offer "maintenance therapy" as an option for those who have already met their therapeutic goals and desire continued support in a much less frequent manner. While one of my favorite moments in therapy is when a client has met their goals and is ready to terminate, I am always willing to accept them back if/when life gets bumpy again. No, I am not a medical doctor. Many of my patients find medication is helpful, but many of them also progress well in therapy without medication. If you want to be evaluated for psychiatric medication, either contact your primary care physician or a psychiatrist. If you are already taking medication, I can coordinate care with your doctor, if you desire. If your questions aren't answered here, please contact me for a free, 15-minute phone consultation. If we need more time than that we can schedule your first session at that time. Schedule your free 15-minute Phone Consultation ONLINE, no phone-tag required!